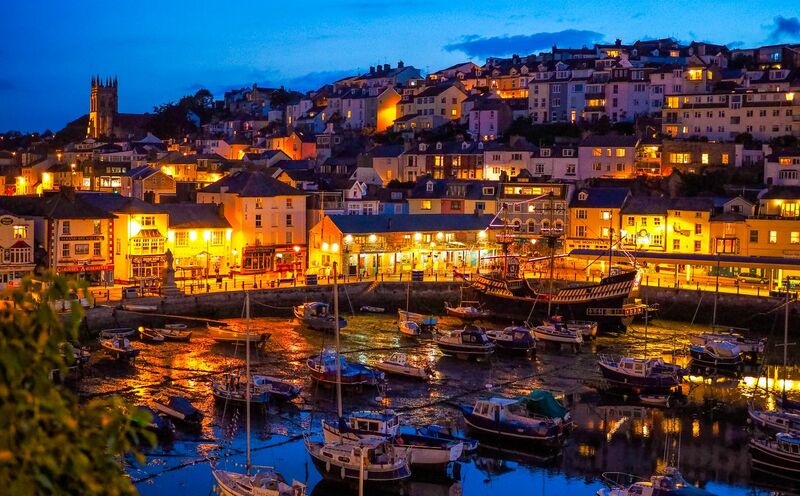 A modern, top floor, holiday apartment with spectacular views over Brixham Harbour. Spectacular sea views, a prime central location & a dedicated harbour side parking space make this new build apartment one of the best choices in Brixham. Located on the corner of Fore Street and Brixham's inner harbour, you could not be in a better location. This bright modern top floor flat is set out over 2 floors and features stunning views from the open plan lounge / kitchen / dinner on the top floor and all three bedrooms on the floor below. Fitted out in a bright contemporary style with good quality furniture and fittings. Enchanting sea views, wi-fi and a dedicated parking space on the harbour side are included. There are 2 king size bedrooms and the 3rd bedroom has a zip n link bed that can be made up as a king size or 2 singles - please let us know how you would like it configured. Kings Quay 2 is the sister apartment to Kings Quay 1, located below. If you are a large group, you may consider renting both apartments. The kitchen includes a dishwasher and a clothes washer/dryer, gas hob and electric fan oven. A family sized bathroom features a bath with shower over, w/c and washbasin. A high chair and travel cot are included. Entrance to passageway via a wooden gate to the right of the iScream shop. 1 step down to passageway. 3 steps up to the shared entrance door and then 14 steps via a return staircase to the first floor landing. We had a lovely few days in Brixham, the apartment is very comfortable, warm, well equipped and stylish with amazing views over the harbour. We didn't close the blinds in the lounge at night as it was so lovely to sit and look out at the harbour lights and watch the 3 swans who were resident in the harbour throughout our stay. The weather was changeable but we still managed the coast walk over Berry Head and down to St Mary's Bay on one day and we also walked from Brixham to Torquay, returning by bus (not an easy path from Brixham to Paignton but Paignton to Torquay not so bad). 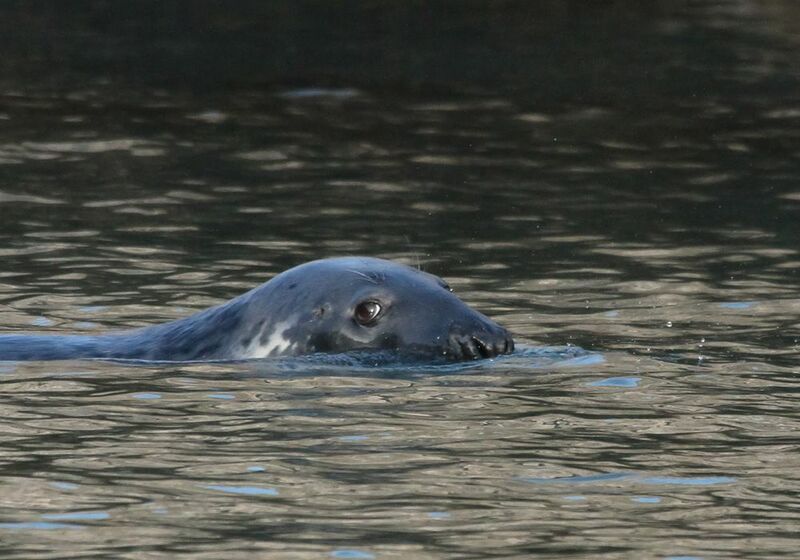 The highlight of our stay (other than the amazing accommodation) was coming face to face with a huge seal who popped his/her head out of the water (on the marina side) about half way down the breakwater as we were walking back from a late afternoon stroll down the breakwater in the rain and wind. Sadly he/she had gone by the time we managed to get our phone out and into camera mode so we didn't get a snap. We had read other reviews so we were prepared for the stairs up to the apartment and didn't find them problematic and the harbour side parking space was a great bonus as we could keep an eye on our car from the apartment. Everything was as it said on the website: the view over the harbour was stunning und we never tired of it. The appartement was new, clean and nicely laid out and decorated. We appreciated the washer/dryer in the kitchen and highly recommend a stay in the appartement! Location and accommodation was perfect, lounge/ dining room/ kitchen was on the top floor to appreciate the views of the harbour. Excellent restaurants especially fish and chips . We had a wonderful family holiday with breathtaking views of the harbour. The apartment couldnÂt have been in a better location, and it was so nice walking out the front door and being directly in the hub of the town. The apartment itself was immaculate, with everything needed for a weeks stay. Thank you for a wonderful stay and we will be back soon. A wonderful location right in the middle of Brixham, with harbour views to die for. The apartment had all we needed and we would stay there again, it was so well situated. Located on the corner of Fore Street and Brixham Harbour, above the 'i-Scream' shop. This has to be one of the best and most centrally located apartments in Brixham. All cafes, shops and activities are just a couple of steps from your front door.